This recipe is inspired by the upcoming celebration for all the Moms out there. I wanted to make something special for Mother's Day morning that would be fun and tasty and extra special for everyone to enjoy along with being something I could make the day before. I also wanted to knock out two jobs at once because multi-tasking is another word for Mom. I used my recipe for Sweet Bread and then when I split the dough into 2 loaves, I made one regular loaf and one Cinnamon Pull Apart loaf. 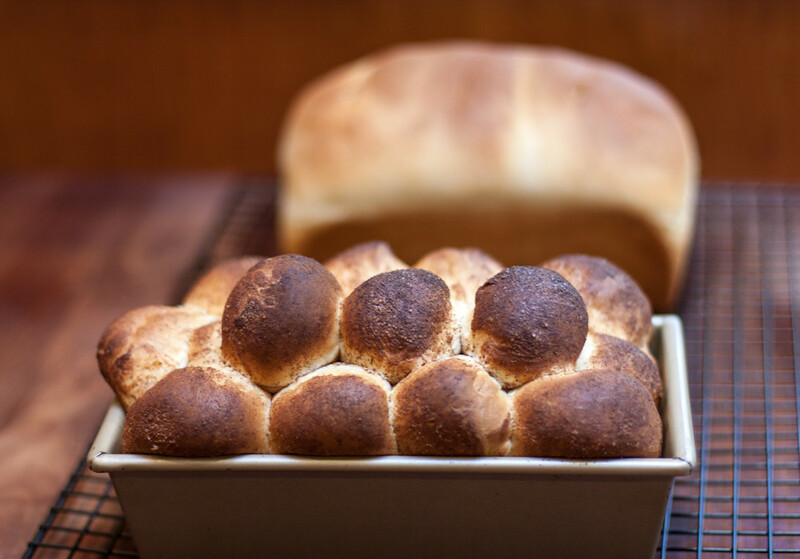 Once the regular loaf is tucked into its pan and set aside, you start building the pull apart one by using 1oz balls of dough. 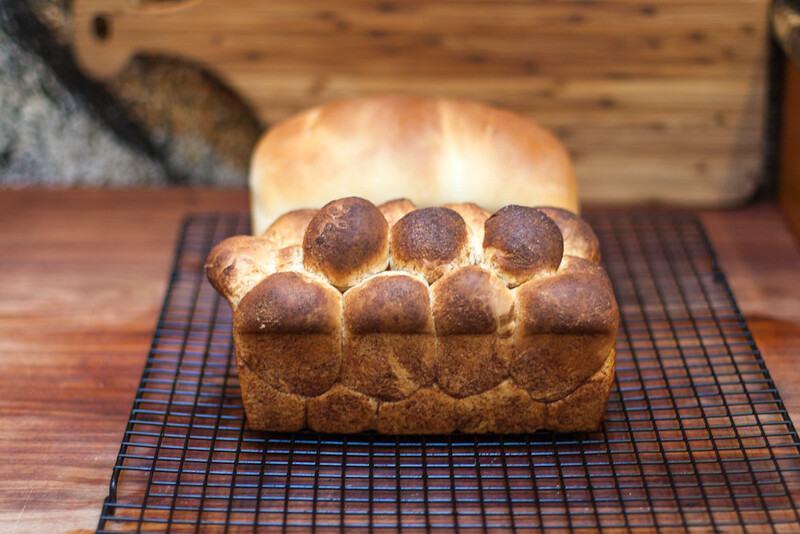 Drop the ball into the cinnamon sugar and coat it completely and use it to fill your loaf pan in a checkerboard pattern. You want to fill in the second layer of cinnamon bites in the openings of the bottom layer and in a narrower layer, sort of like a pyramid concept. Cinnamon pull apart bread, see the segments? Once you have all of the dough in the loaf pan, let it rise until 1 inch above the rim of the pan which takes about 20 - 30 minutes. Cook just like you would a regular loaf of bread, let it cool on a wire rack, and then store it in an airtight container. On Mother's Day morning pre-heat your oven to 350 (F), wrap the cinnamon pull apart loaf in some foil and warm for 10 - 15 minutes, then eat! I hope all you Moms and Aunts and Grandmothers enjoy your special day tomorrow. This is a 2 for 1 recipe - one loaf of sandwich bread, one load of cinnamon pull apart bread. You could make both loaves pull apart though if you like! In the bowl of your stand mixer (or regular bowl) combine the milk and honey and then sprinkle the yeast over the top. Let the yeast proof until it dissolves and gets a bit foamy. Add the butter, eggs, salt and flour, just 6 cups, and mix well. Continue to add in the last cup of flour as needed until your dough is soft and pliable but not at all sticky. 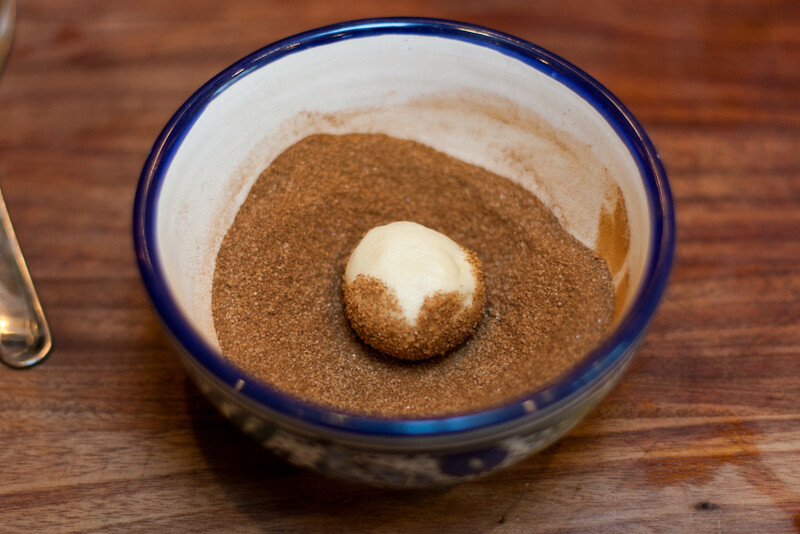 Mix the sugar and cinnamon in a small bowl and set aside. Using the dough hook or by hand, knead the bread for 10 minutes. Transfer the dough to a large well oiled bowl and cover with plastic wrap. Let it rise until doubled in size, about one hour. Prepare 2 loaf pans by lightly oiling the sides of the pan. Once the dough is doubled in size, divide into 2 equal parts. I use a scale to do this but you can eyeball it too. Flatten out one piece in a rough rectangle shape that is the width of the loaf pan and about 10 inches long. Gently roll the dough into a loaf and place into the pan. Slice three equally spaced vents into the loaf. For the second piece of dough, measure out 1oz bits of dough and shape them into a ball. 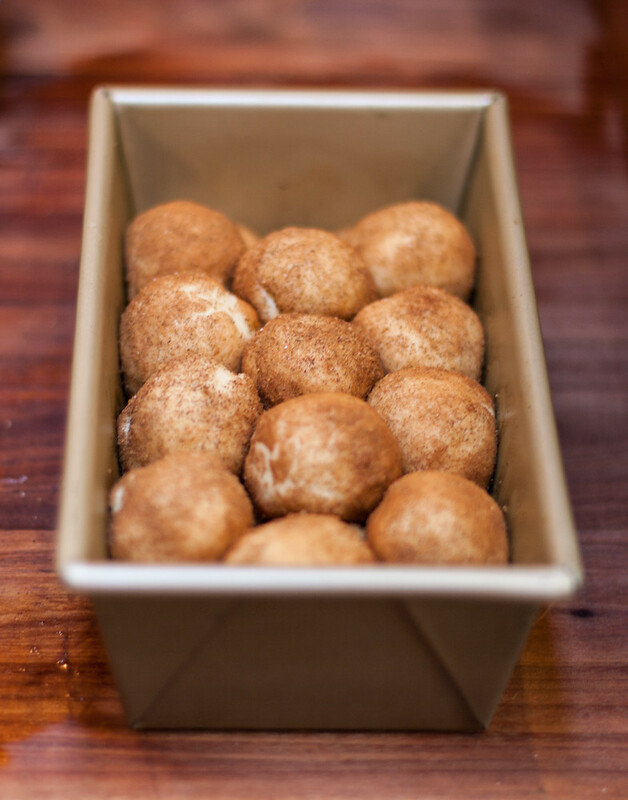 Roll the ball in the cinnamon sugar mixture until completely covered. Fill your second loaf pan with the balls in a checkerboard pattern. You will get 2 layers of rows. Cover the pans with a towel or cling wrap and let it rise a last time, just until the dough about 1 inch over the rim of the pan. This will take about 20 - 30 minutes. Pre-heat your oven to 350 (F). Once the bread finishes its second rise move it to the oven and bake for 30 - 35 minutes, or until the bread is 200 - 205 (F) in the middle. Remove the bread immediately from the pans and cool on a wire rack. Store once the bread has reached room temperature. 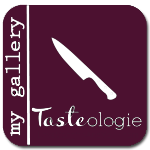 This has been shared with YeastSpotting.